A transforming NHS brings with it many opportunities. Working with payers to put patients at the heart of everything while reducing costs is fundamental to success. The emergence of the 'empowered patient' is quickly changing how healthcare decisions are made. Forward-thinking pharma companies are at the forefront of this change, and so too are payers who also face the challenge of making the healthcare they commission patient-centric. With this shared focus on the patient, savvy pharma companies are refocusing efforts on working collaboratively with payers and other stakeholders to develop solutions, rather than just sell products. With commissioners looking to engage patients in service design and health delivery decisions, pharma is well-placed to support this engagement by working alongside clinicians and patient groups. Some regions and localities are doing it better than others and the innovators and early adopters are a fertile market for the industry. A key part of patient-centricity is developing strategies that add value to the touchpoints of the patients' journeys. Truly Integrated Care Pathways (ICPs) provide a way of benchmarking and measuring patient outcomes, while ensuring patients have equitable access to best practice standards of care. By doing this type of work credibly and thoroughly, pharma can help payers redesign care pathways to ensure that the focus remains firmly on the patients and on improving their health outcomes through implementable steps. With payers increasingly imposing value-based pricing and an increased ability to track health outcomes and collect real-world data, being able to demonstrate patient-centred outcomes is more important for pharma than ever before. It is vital that pharmaceutical companies harness this data to meet the payers' demands for an even sharper accountability for improving patient outcomes. In the shifting NHS landscape, pharmaceutical companies need to become more like business partners - working alongside payers and wider networks to support their growth and development in a way more akin to a business-to-business (B2B) relationship - rather than simply a provider. 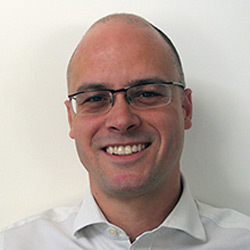 Pharma has an important role to play in working with payers and other decision-makers to transform the NHS into a more patient-focused and cost-efficient organisation, but it must be done in a collaborative and strategic fashion. 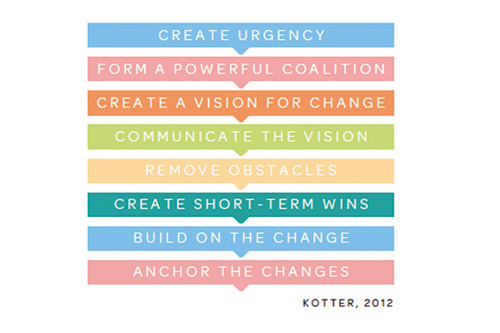 Kotter's 8-step change model provides a helpful framework for understanding the process of change that the NHS is currently going through. Effective pharma key account management involves planning activities according to the 'change step' their local health economy is going through. Old models of pharma marketing are becoming less valid and pharma needs to consider 'what' it does with the NHS to convey value, rather just relying on 'how' it does it. Payers know that patient education and support will motivate patient persistence with treatments and thus drive health outcomes. Effective patient engagement helps to build confidence that the time, effort and resources invested in making changes across a local health economy will not be wasted - thus supporting the need to address the issue of medicines wastage across the NHS. Pharma is well-placed to support these approaches (eg working with suitable clinicians and credible patient groups) and local payers often appreciate relevant help. The NHS is continually transforming, making it barely recognisable from the health service a decade ago. While pharma is well-placed to support the NHS through this evolution, the industry must be careful not to over-promise and under-deliver. Pharma needs to support the NHS in relevant areas where it can make a tangible difference that results in achievable and measurable outcomes. Understand your payer archetypes and communicate in a relevant way in order to resonate.